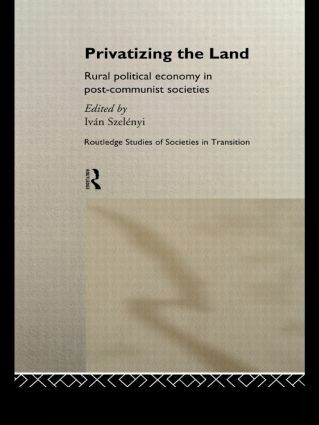 Privatizing the Land provides an overview of reforms in the state socialist agrarian systems, especially during the 1970s and 1980s in Eastern Europe and the Soviet Union. Using empirical evidence, the contributors provide a balanced assessment of how agrarian economies performed in different communist countries. The Soviet and Eastern European experience is contrasted with reforms in China, Vietnam and Cuba to provide the first comprehensive account of agricultural restructuring after the collapse of communism in Europe and Asia.